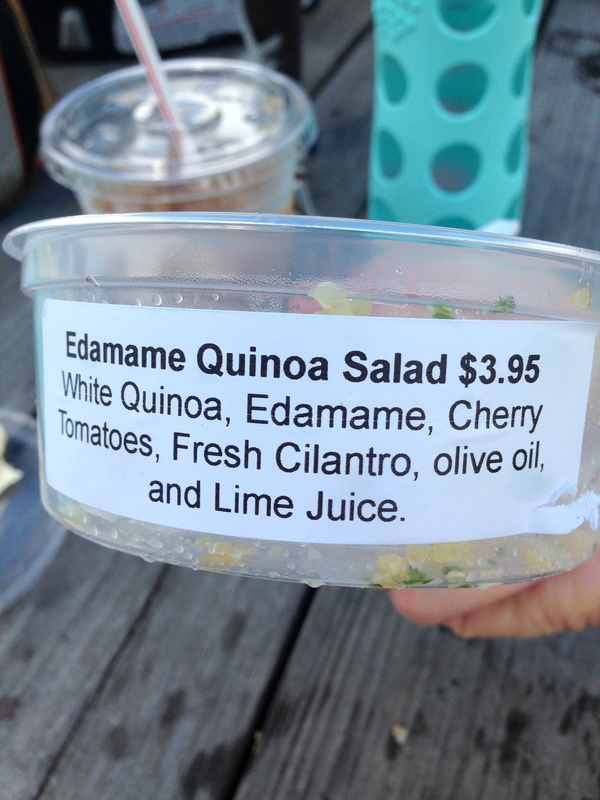 I mentioned Friday that I had this delicious Quinoa and Edamame Salad when we went berry picking at Sweet Berry Farm. It was so good that I took a photo of the ingredients to remember to re-make it myself some day. 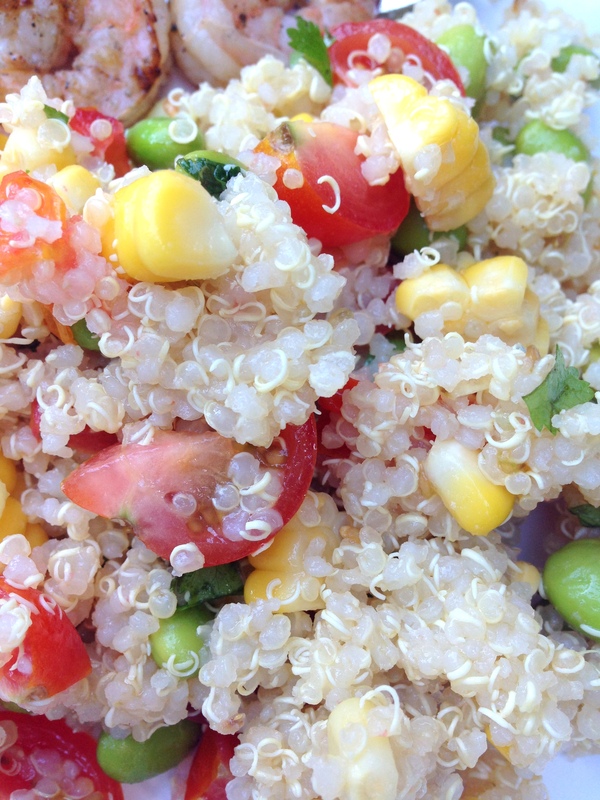 Well, last week we were headed to another free outdoor concert to have a picnic dinner and I thought this Quinoa and Edamame Salad would be the perfect thing to bring – and it was! It’s so easy to make! 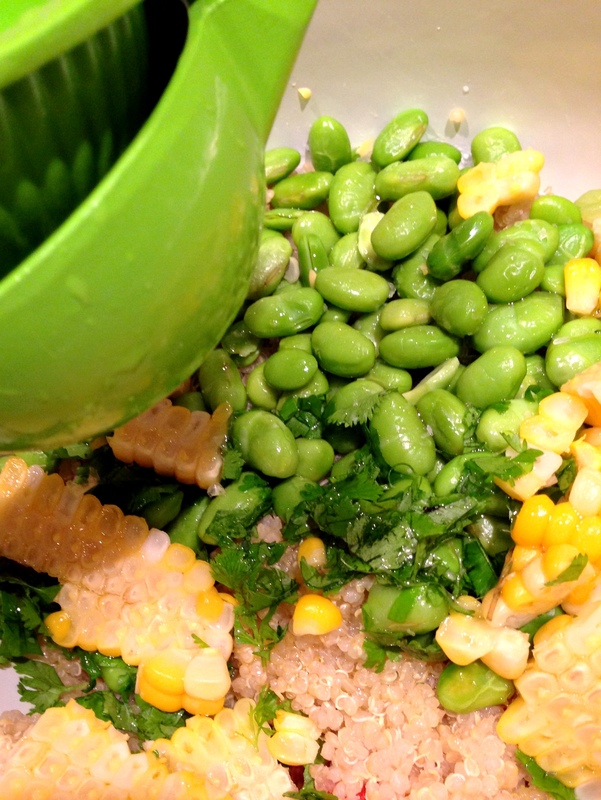 Just cook your quinoa according to directions and mix with edamame (I used frozen edamame that I boiled for 3 minutes to cook), corn (I cooked an ear of corn then removed the kernels), chopped cilantro, and quartered cherry tomatoes. 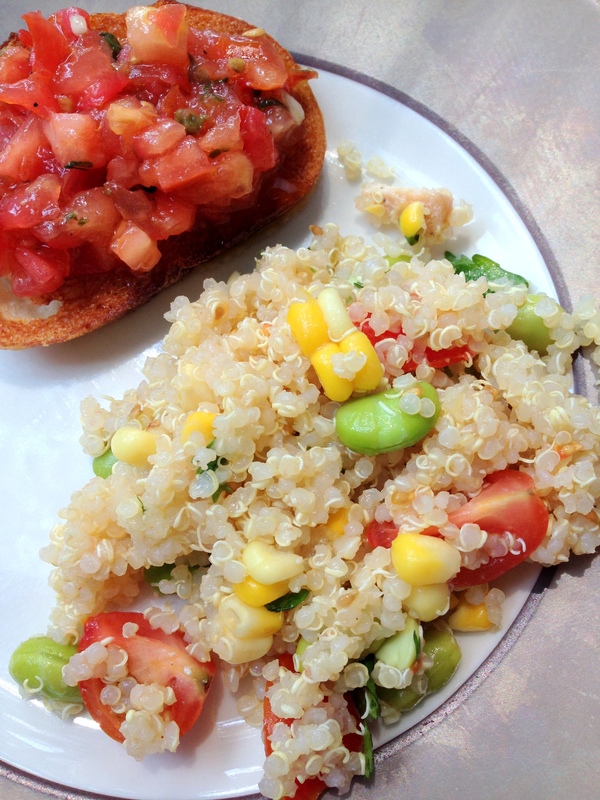 For a little dressing whisk together olive oil, lime juice, and salt and toss with the quinoa. This is so darn good! And it’s light and healthy and just perfect for summer. For our picnic dinner we served with grilled shrimp and bruschetta. Enjoy! Mmmm, this looks so good. I love edamame and quinoa so this sounds amazing.